A Collective Impact Approach to Making Policy and Changing Lives. 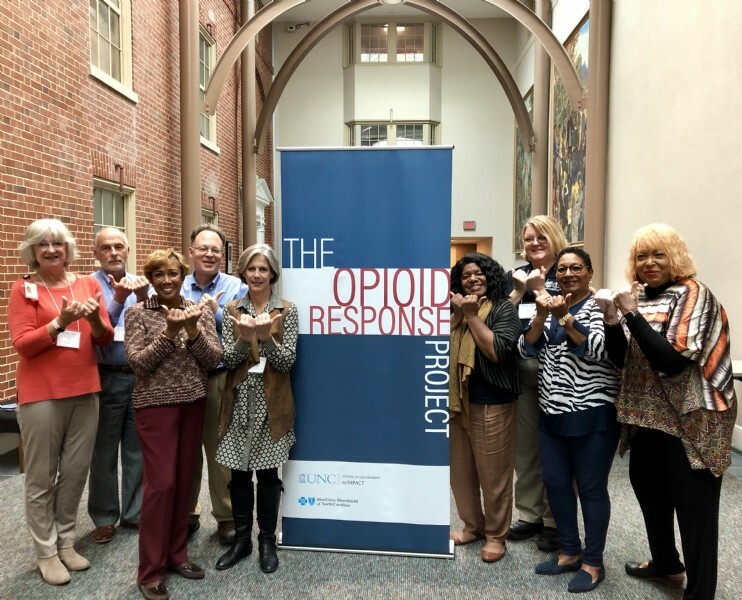 The UNC School of Government and Blue Cross NC will provide the following to each participating community: five regional forums at which teams will form goals, set plans for implementation, collaborate across fields and jurisdictions, and learn from experts on opioid-related issues; School of Government support throughout the process; $10,000 in year one and $10,000 in implementation funding for the project in year two. Each community selected will contribute a committed team representing multiple departments, jurisdictions, and/or organizations that will invest the time, energy, and work needed to achieve team goals. Use the culturally competent Seven Strategies for Community Change to prevent all forms of substance use, initiate community peer support and support parents that have lost family members due to substance use. Adverse Childhood Experiences and Resilience. Provide updates on Injury Prevention Branch county level data, Provide data on the impact of opioids (overdose) on the African American Community. Objective: By 2023 decrease EMS identified overdoses by 20%. Objective: Build a second facility by 2022.